Tuesday March 27, 2018. Event starts at 6:00 pm. 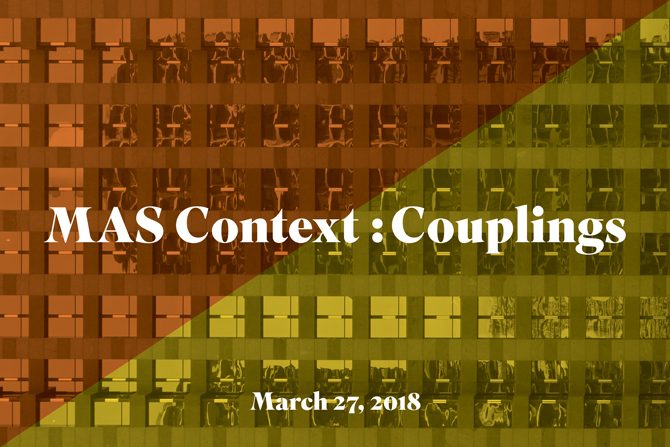 MAS Context is organizing the second edition of its Couplings series as part of MAS Context’s 2018 Spring Talks series. The event will take place on Tuesday, March 27, at the offices of Leo Burnett Chicago (35 West Wacker, 21st floor, Chicago, IL 60601). The event explores the influence of past projects, realized or unrealized, in shaping contemporary thinking in a design discipline. In this edition, each of the eight Chicago-based graphic designers participating in the event will share a project by another graphic designer that they consider relevant for their practice today. This framework establishes conceptual connections between projects while providing a snapshot of the opportunities and issues at stake in graphic design. The event is being hosted by Leo Burnett Chicago, a globally active advertising agency based in Chicago and founded in 1935.